As we approach the celebration of our 25th Anniversary, we are delighted to announce the two Freemasons International Vocal Tutors for the 2019 NZ Opera School. Della Jones, world-renown Welsh mezzo-soprano, who has thrilled and entertained us for the last two years, will be joining us again in 2019. Della Jones, has had a stunning career as one of the world’s leading mezzo-sopranos, appearing in the U.S, Russia, Japan, Canada, U.K. and throughout Europe in over 120 operatic roles. Her repertoire ranges from baroque to contemporary works, with a specialty in the bel canto operas, notably of Rossini. 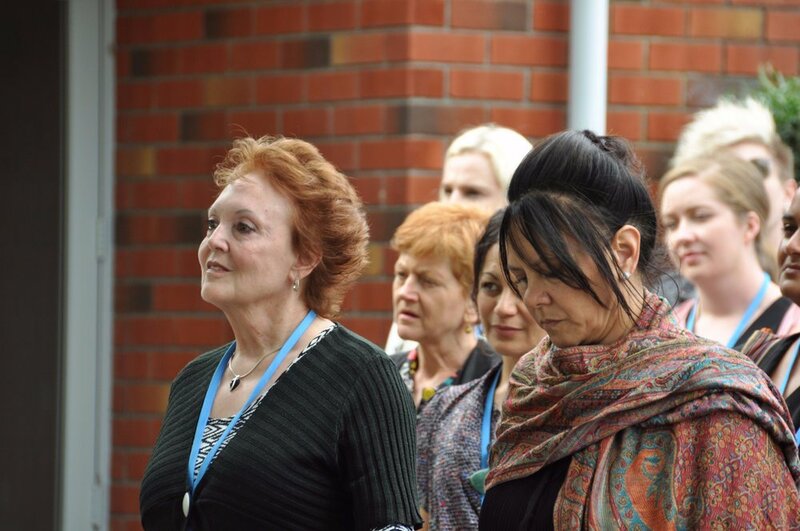 Della Jones at the 2018 NZ Opera School at the WOW Gathering, Photo by Credit Jacqui McGowan. 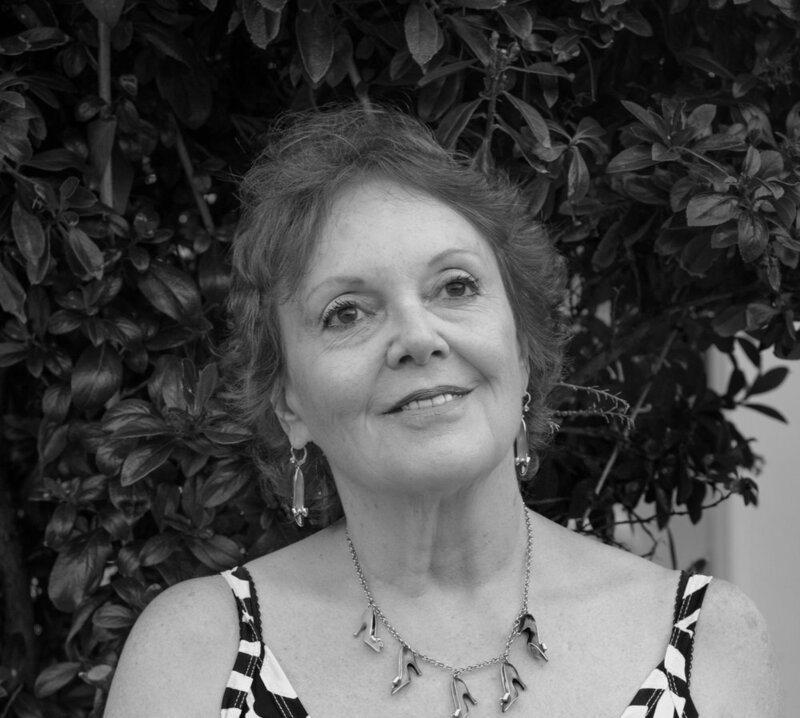 Della, has worked with all the leading orchestras and conductors, including Leonard Bernstein, Sir Georg Solti, Sir Charles Mackerras, Sir Simon Rattle, Sir John Eliot Gardiner, and Sir Antonio Pappano. We have all learnt a great deal from Della with her complete understanding of the opera performance art and we are delighted to welcome her back to the New Zealand Opera School 2019. To join Della, it is with great excitement that we announce that our new Freemasons International Vocal Tutor for 2019 is renowned baritone, Russell Smythe. Russell studied at the Guildhall School of Music & Drama and the London Opera Centre, before performing on the professional stage for almost 40 years, at such places as the Hamburg Staatsoper, the Frankfurt Opera, the Paris Opéra, the Vienna Volksoper and Staatsoper, La Monnaie, Opéra de Lyon, and under the batons of Colin Davis, Christoph von Dohnanyi, Silvio Varviso, Antonio Pappano, Harry Christophers, René Jacobs, Bernard Haitink, Mark Minkowski, John Eliot Gardiner and Seiji Ozawa and many more. Ariadne auf Naxos as Harlekin Paris Opera, Don Pasquale as Malatesta at Royal Opera House with Marie McLaughlin, The Magic Flute as Papageno in Vienna at Staatsoper, Così fan tutte as Guglielmo at Royal Opera House with Margaret Price as Fiordiligi, Balstrode with Scottish National Opera with Antony Rolfe Johnson as Grimes and many more. Russell is currently a Professor of vocal studies at the Royal College of Music in London. Russell as Billy Budd at Welsh National Opera - 1978 with Frank Oligario as Dansker. Russell again as Mr Redburn for New Israeli Opera - 2001 with Malcolm Rivers as Mr Flint and Richard Cowan as Claggart. Della and Russell have performed together many times in operas such as "La Cenerentola", "Il Barbiere Di Siviglia" and "Tom Jones" as well as numerous concerts and recordings. We are very excited to welcome two such significant performers together to our important little corner of the world in Whanganui, from the 7th until 20th January 2019. It is with great excitement and anticipation that the 10 Semi-Finalist for the 2018 Lexus Song Quest have been announcement, click here for the full announcement. The top 10 semi-finalist who auditioned against 40 other candidates in front of international Preliminary Judges Liane Keegan and John Bolton Wood, are also all alumni of the New Zealand Opera School, they are: Joel Amosa (bass-baritone), Eliza Boom (soprano), Chelsea Dolman (soprano), Jonathan Eyers (baritone), Joe Haddow (baritone), Manase Latu (tenor), Filipe Manu (tenor), Emily Mwila (soprano), Madison Nonoa (soprano), Natasha Wilson (soprano). In the announcement, Judge Liane Keegan, made the following comment, “The vocal qualities and skills they all presented, were exceptionally high”…“To have singer after singer in this competition, impress with what they can do and how they can do it, is extremely rare in a competition of this size. I think the standard of teaching singing in New Zealand at present is a very high one and long may it last!”. We are delighted to have this update on Frederick Jones, (Tenor). He reports: I'm involved in the Monteverdi madrigal Lamento Della Ninfa, a scene from Britten's Gloriana and a half hour excerpt from Strauss' Capriccio. I've also been casting one of the operas for Guildhall's summer double bill, playing the role of Charles in Hindemith's The Long Christmas Dinner. We are also doing a collaboration with the LSO Schools orchestra for a performance of Gianni Schiccjf in the Barbican centre next month with Christopher Purves singing the title role which is very exciting. We have also now learned two of the operas for next year and I'm incredibly excited to say we are going to do Cos fan tutte and Britten's Midsummer Nights Dream which is wonderful. It is uncommon for the school to mount such mainstream operas, but the faculty said that with such a high standard on the course it seemed silly not to take up the opportunity. British Youth Opera's , they have offered me the role of Tom Bakewell in their 2018 season of the Rake's Progress! We are pleased to update news from Soprano Katherine McIndoe at Guildhall, London. Katherine reports- In the Vocal Masters programme, alongside weekly lessons (with my wonderful teacher Yvonne Kenny), coaching, stagecraft, movement, and language classes, the course is structured around extra projects which you are selected for at the start of the term. Coming up next term, I am involved in another Scenes production ( performing Britten and Jonathan Dove), and also have chance to perform one of my dream roles for the first time: I have just been cast as the Governess in Britten's The Turn of the Screw with King's Opera ( King's College), which we will perform in April. Life at Guildhall is extremely intense, often involving very long days of back - to - back classes, rehearsals, and coaching, and requiring music to be learnt very quickly and efficiently. However, I feel that I am really thriving in this environment: even though I am doing lots of different projects all at once. (Source: NZ Opera News 2018). We have been kindly given a large number of DVD's and CD's from the estate of Mr Robert Lowe from Brightwtaer, Nelson. We are happy for students, current singers or supporters of the New Zealand Opera School who would like to borrow any of these works to please be in touch and we will email you the complete list. They will be made available for a minimum cost of $5.00 to cover postage. (For NZ residence only). New Zealand Opera School is please to announce that Della Jones (World-renowned Welsh mezzo-soprano) will be returning as one of the international singing teachers at the 2018 NZ Opera School next year. We take this opportunity to ask Della a few questions; keep reading on! Since the 2017 NZ Opera School earlier this year in January, Della has been keeping herself very busy, passing her knowledge and skills on to future singers. Della is currently leading various intensive summer courses at the National Opera Studio in London and will be continuing to coach there on a weekly basis when the new term begins. She will be doing Masterclasses and coaching’s at the Welsh International Academy of Voice-run by Dennis O'Neil in Cardiff, also at the Royal Northern College of Music In Manchester and other Academies in Britain. As well as having such a full schedule Della, still continues to do private coaching with British and International singers. We ask Della, what was some of the highlights that she can recall from the 2017 NZ Opera school? Della: "The final concert at the beautiful Opera House, when we could see and hear the progress gained by the talented young artists of N.Z"..."The glorious and touching chapel service where all the musicians and community came together as one"..."The kindness and incredible generosity of the Friends of the Opera School"..."Meeting and working with Donald who has done so much for the Arts in N.Z. and whom I am privileged to call a friend"..."Working together with Jonathan ,all the coaches, Hemi and administrative team, to achieve the best for the young artists"..."Meeting and working alongside César". One highlight which was a first for a while for the NZ Opera School and as Della puts it, "A lifetime's dream come true", which was a powhiri from Whanganui local Putiki Marae Roopu to open the school and welcome us all especially Della and César, being our 2 international tutors. "On a very personal note having the Haka done for me as a surprise at the opening Monday's B.B.Q", was one of many highlights experienced by Della. NZ Opera School: "What was it like teaching at the school? Did you find it a worth while experience?" Della: "Teaching at the school was totally fulfilling for me, as I hope it was for the young artists. I was a "New Girl", but was made to feel welcome immediately. A perfect atmosphere in which to work hard, to strive for the best with the singers and to enjoy working at the art we all love". "All the performers really wanted to get the most out of all coachings, be they vocal, movement and drama, languages, discussions about repertoire, advice for the future etc. All this in this most wonderful environment of the Whanganui Collegiate School". NZ Opera School: "Do you have any ideas or thoughts about what you plan to bring to the school in 2018?". Della: "My ideas and thoughts about what I plan to bring to the school in 2018"..."My doctrine is to treat every singer at the level they are without comparisons, but to bring out the most of their respective talents and to further them vocally, in presentation, in communication, in self-confidence to be their friend and to help in whatever way I can". 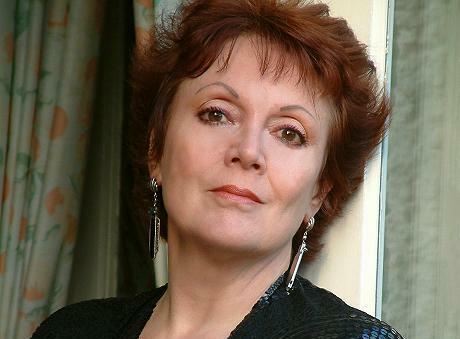 We ask Della to give some advise for young NZ Opera Singers and why they should apply to attend? "To all young N.Z. Singers, you are a small country with enormous talent. Performing as I have around the world I genuinely believe the NZOS is one of the best launching opera schools you could attend. It will open enormous doors to you for the future, from the coaching in all departments, discussions with your coaches and peers, and insight into your future careers and possibilities in Music in all forms. It will open many doors for you". "I can sum it up by saying that if I was at a certain stage in my musical career and lived in your country this is without question the Opera School I would attend". NZ OPERA SCHOOL would like to thank Della for taking the time out of her busy schedule to give NZ and young NZ opera singers a little insight into her experience with the school. We all can't wait to have your talent, skill and most of all yourself at the 2018 school. NZ OPERA SCHOOL STUDENTS & TUTORS – WHERE ARE THEY? – WHAT THEY ARE DOING? We touch base with present, recent and past students and tutors of NZ Opera School, to see what they are doing now, their plans and ambitions for the future. We also talk to them about what they thought about the school and their advice for interested young singers who want to develop their skills. Q: What have you been working on since the 2017 NZOS? I.e. performances, competitions etc. "A couple of weeks after the close of the 2017 NZOS I went into production for Days Bay Opera's season of Handel's "Theodora", in which I sang the role of Theodora. It was a thrilling role to learn and I am so pleased to have had the opportunity to learn it. Next up, I sang the role of "Marie" in Rufus Wainwright's Opera, "Prima Donna", a concert collaboration with the Auckland Philharmonic Orchestra. In March, I auditioned successfully for the role of Catarina Cavalieri in Peter Schaffer's "Amadeus", a singing role that marked my debut with the Auckland Theatre Company in their premiere season at the newly purpose built Auckland Waterfront ASB Theatre." 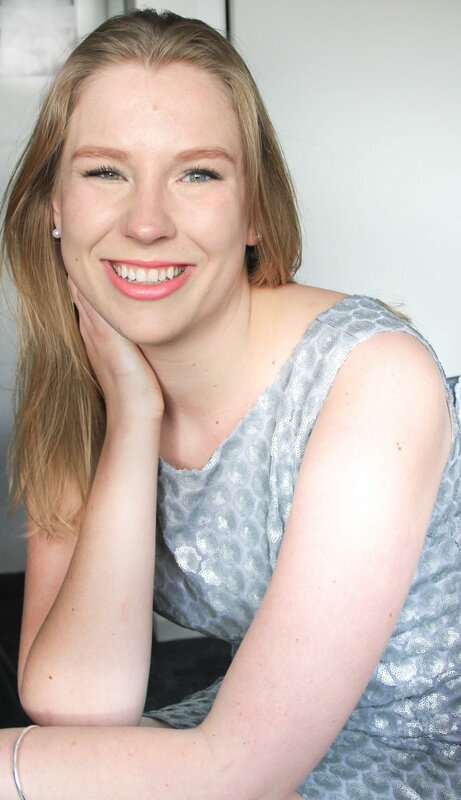 "In June I competed in and won the North Shore Becroft Aria competition and have since participated as an inaugural singer in the Dame Kirk Te Kanawa Foundation Singers Programme and the Dame Malvina Major Foundation Singers Programme." Q: What's your plans for 2018 and beyond? “In September of this year I will begin studies at the Guildhall School of Music and Drama where I have been lucky enough to be awarded a full-fees scholarship into the prestigious Opera Programme. My teacher will be Yvonne Kenny, which I am so excited about! My plan is to complete the two year degree, coming back briefly to NZ in the middle of next year to perform the role of "Giulietta" in Auckland Opera Studio's production of "I Capuleti e I Montecchi" (Bellini), and audition for Young Artist programmes in Europe." Q: How has the NZ Opera School helped you strive for your aspirations as an Opera Singer? “The NZOS has been an integral part of my training over the past five years. I have looked forward to each school as an opportunity to learn from some of the best teachers in the country and also the visiting tutors, all of whom I have found inspiring and gleaned an enormous amount of information about "the industry" from." "The school has been a key motivator and a place where I could honestly assess my skill set and my personal areas of weakness that I would like to dedicate time towards strengthening. I felt supported, encouraged and inspired by my colleagues and the teachers; at times I was pushed to grow and at other times I was allowed to "enjoy the moment", and I think the balance of having both expectations as a singer was a great learning curve -- you have to love what you do, but you also have to be constantly looking for ways to appreciate the music and improve your ability to be a vessel for it!." Q: What would you say to a young NZ Opera singer about the NZOS and why should they attend? “I would say apply! Go for it! But: be ready to work very hard and for things to "get real"; it's the place for you if you want to really get an idea of the things you would like to be able to do. Don't worry if you can't do everything now, you don't have to be able to sing Mimi or La Traviata -- you just have to be able to take the advice, absorb everything that you can and give it all a go. If you love Opera and it's the career you want to be a part of, I think the NZOS is the perfect place to start." Q: What was one or a few of the highlights of the school/s you have attended? “There have been many! My favourite times have been performing together with the others students. Filipe Manu, Jarvis Dams and I were thrown in the deep end one year and had to learn a tricky little Donizetti trio for the final concert a few days before the event, but it turned out to be a marvellous exercise in teamwork and "thorough fast learning". I really enjoyed the public masterclass with Simon O'Neill, who is such a warm and charismatic teacher, particularly supportive of young Singers trying to make it through the early stages of this career. Mostly, I think, it has been a real highlight to have not only been coached by so many of these incredible professional teachers, singers and language/music coaches, but also to have had the opportunity to join a network of musicians who have become colleagues and friends, as well as mentors." The New Zealand Opera School would like to thank Madison for partaking in this interview and wish her the best of luck for her aspiring career ahead of her. We know you will do well, and Whanganui and New Zealand look forward to your return to give us a taste of your studies abroad. NZ Opera School is not just a school to up-skill in the Art of Opera Singing, it is an opportunity to be part of OPERA WORLDWIDE and to meet various professionals within the Opera Community. KEEP READING!! Edward Laurenson who recently had a benefit concert, presented by Sir James Wallace, The Wallace Arts Trust and The Kiri Te Kanawa Foundation and accompanied by Terence Dennis, with guest appearances by The National Youth Theatre Company this past Wednesday held at Rannoch,had been well received and an excellent opportunity for the young NZ singer to raise funds for his aspiring future abroad. "Earlier this year I attended the 2017 New Zealand Opera School in Whanganui as one of the School’s inaugural postgraduate alumni. It was during this School that I was introduced to César Ulloa, currently Chair of Voice at the San Francisco Conservatory of Music, who was visiting New Zealand as the 2017 Kiri Te Kanawa Foundation’s International Voice Faculty Tutor". "César and I worked very well together, and I felt I made a great deal of progress, so much so that I expressed my desire to study with him over the coming year". NZ Opera School Directors "conveyed this to César and a"..."meeting was arranged. César suggested I make a late application to audition for the San Francisco Conservatory of Music. Following my live audition in San Francisco several weeks later, I found out that not only was I successful in securing a place at the School, but I was also granted their only full-tuition scholarship. I commence my studies later this month, and am incredibly grateful to Donald, Jonathan, the Kiri Te Kanawa Foundation and the New Zealand Opera School for opening this door". Another great example of the benefits of attending the World renown NZ Opera Training School and the only kind like it in NEW ZEALAND for Young New Zealand Singers from all levels of their development. So get those application in, click on the link below and get applying NOW!! World’s best teachers love Whanganui and coming back for 2018 School! We are delighted to announce that world-renowned singing teachers Della Jones and César Ulloa loved being with us at the New Zealand Opera School for 2017, so have both agreed to return for 2018. Applications are now open so get in quick! César Ulloa is Chair of Voice at the San Francisco Conservatoire where he also heads up the San Francisco Opera Center’s Merola and Adler Fellows programs. His students perform regularly on the major operatic stages of the world, and have been top prize winners and finalists in numerous competitions including the Metropolitan Opera National Council, Operalia, Montserrat Caballé, Loren Zachary, George London, Richard Tucker and Cardiff Singer of the World. Since last year’s Opera School Edward Laurenson has now become a student of Cesar’s at San Francisco Conservatoire. 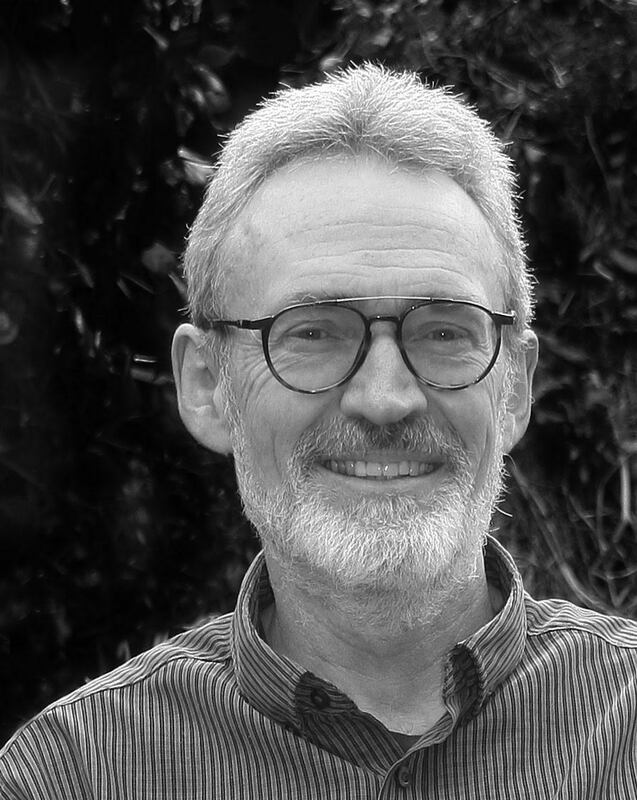 We are also pleased to announce that longside these amazing international tutors we have again secured an exceptional line-up of New Zealand talent including much loved coaches Sharolyn Kimmorley, Terence Dennis and Bruce Greenfield, and director Sara Brodie. Student places for the School, which will take place 8-21 January 2018 at Wanganui Collegiate, are strictly limited to 22. With competition expected to be very high, students are encouraged to start on their recordings and applications now to maximise their chances of securing a place. Closing date for applications is 31st August 2017. Click here to apply for the 2018 school. This year, Huka Lodge is the venue once more for a gala presentation of all the finest things in life – beautiful opera music, fine wines and superb cuisine. Master of Ceremonies for this stunning evening is Jonathan Alver, Director of the New Zealand Opera School, who has created a rich and memorable musical recital for your enjoyment. This will be presented by the young and talented artists from the NZOS and promises to be as well received as ever. Edward Donaldson, comes from an opera loving family, and will share some of their magnificent Pegasus Bay wines during the evening. These wines will be paired with a stunning five-course menu created especially by Huka Lodge Executive Chef, Paul Froggatt, to enhance the whole gourmand experience. Four talented young performers from the New Zealand Opera School, Katherine McIndoe (Soprano), Harry Grigg (Tenor), Olivia Sheat (Soprano) & Jonathan Eyers (Baritone) will perform during the evening. All these young people are poised at the start of promising careers, and in many cases destined for further study and valuable experiences overseas. The guiding hand of Dame Kiri Te Kanawa has once again helped propel some of New Zealand’s most promising young singers along their international career paths. 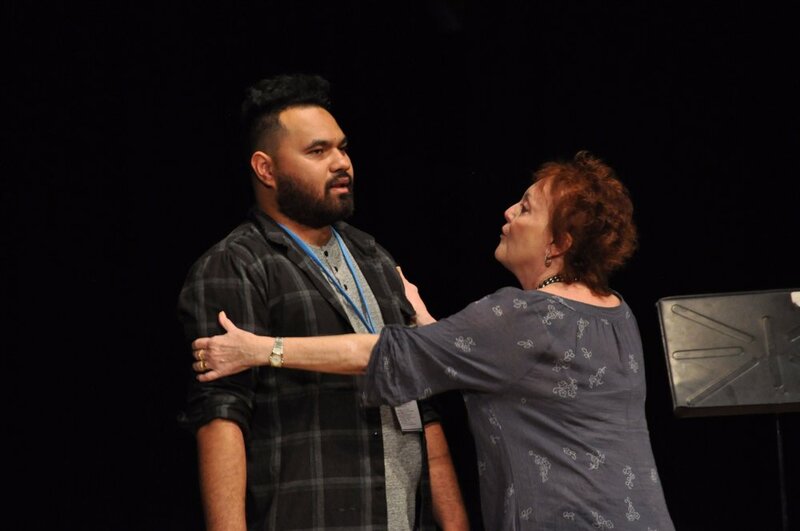 After visiting and personally teaching at the annual New Zealand Opera School last summer, Dame Kiri facilitated the attendance this January of two more world-renowned teachers, as the core of the Kiri Te Kanawa Foundation International Vocal Faculty: Della Jones (UK) and César Ulloa (USA). This, says school director Jonathan Alver, contributed to an enviable learning opportunity the equal of any in the world. 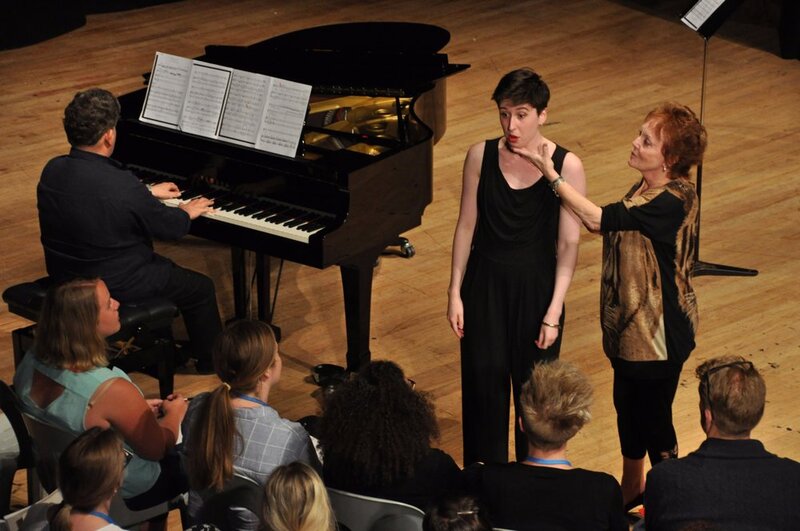 “Through the Foundation’s support and Dame Kiri’s personal interest we were able to offer our students one of the highest possible standards of vocal tuition available internationally. Professor Ulloa is regularly coaching the very best young voices in the United States; they are winning competitions and going on to young artist programmes at the major opera houses in the world. 24 students, who had been selected from applicants throughout New Zealand, were required to show evidence of their talent and their existing commitment to professional studies. 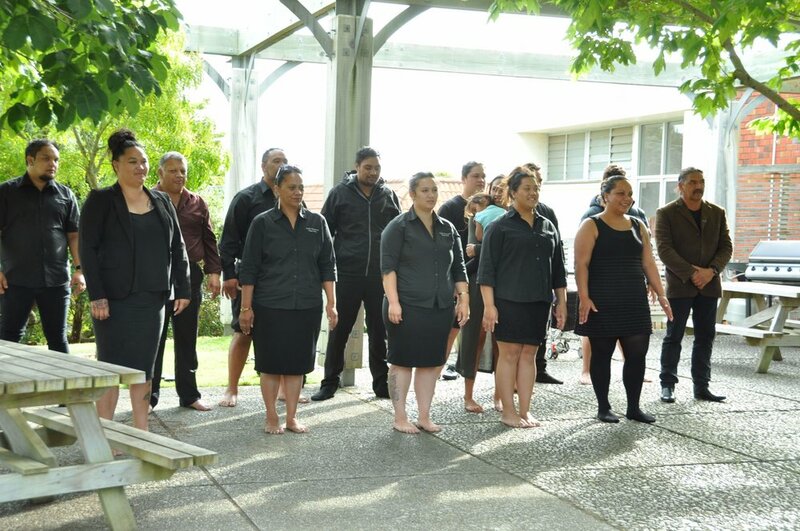 They lived and breathed music for two weeks in the intensive residential course which takes place over two weeks every January on the campus of Wanganui Collegiate. Taranaki reporter Robin Martin takes camera and microphone behind the scenes of the 2017 NZ Opera School. Read the full story here. Wanganui Chronicle's Lin Ferguson is among those moved by the glowing chapel service on Sunday morning, a much-adored part of the NZ Opera School activities on the Collegiate campus. Read more on the NZ Herald website here. Welsh opera luminary Della Jones told Radio New Zealand National's Robin Martin of her delight at the community support for the annual NZ Opera School based in Whanganui. Students also spoke to the top-rating network radio programme about the challenges and excitement of the school, its opportunities, and the impressive tutors sponsored by the Kiri Te Kanawa Foundation. Listen here. The Heritage House Recital held on Wednesday 11th January 2017 in Whanganui organised by the WOW committee was a SELL-OUT event. Performed by four talented students, Eliza Boom (Whangarei), Edward Laurenson (Auckland), Frederick Jones (Wellington) and Katherine McIndoe (Wellington) and Accompanied by Sharolyn Kimmorley AM. Tonight we have our first Public MasterClass with one of the world’s best singing teachers, César Ulloa from San Francisco and is one of the 2017 NZ Opera School’s Kiri Te Kanawa Foundation International Faculty. This will be held at the Wanganui Collegiate College – Prince Edward Auditorium and there will be doors sales. Alternatively listen out next Tuesday for the Radio NZ Broadcast.